The Oconee County Development Review Committee approved a series of retail projects on Hog Mountain Road and in Butler’s Crossing at its meeting last week. The Committee voted to approve the preliminary site plan for Butler’s Crossing Professional Park on an 8-acre parcel next to Publix in Butler’s Crossing. The group also approved the preliminary site plan for a four-building retail development on 5 acres at the front of Carolina’s Place subdivision on Hog Mountain Road just east of Oconee Veterans Park. Oconee Events’ preliminary site plan for a 3,100 square-foot-building, including a showroom, at 1741 Hog Mountain Road, east of Butler’s Crossing, also received approval from the Development Review Committee. The Committee also accepted the plan for minor modifications to the parking lot and sidewalk at the CVS Pharmacy in Butler’s Crossing. 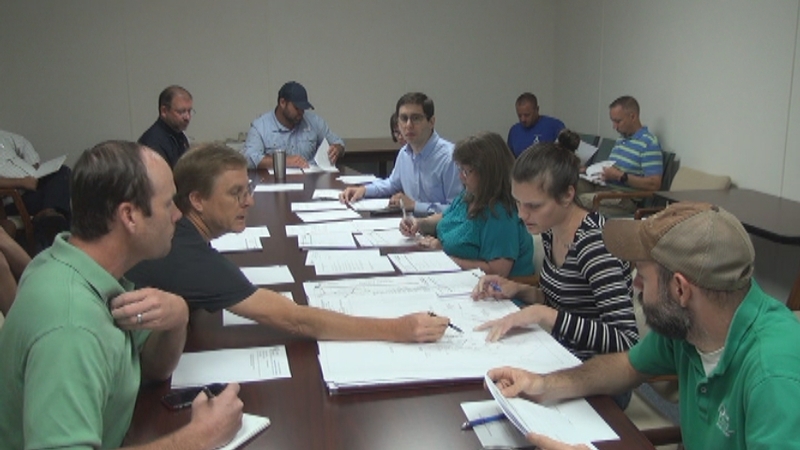 The only site plan on the Review Committee agenda last week not on or just off Hog Mountain Road was for the corporate headquarters of Advanced Urology at the corner of Virgil Langford Road and Jennings Mill Road. That plan also received approval. The Development Review Committee in February approved preliminary site plans for two buildings on the 5.2 acres between Jennings Mill Road and the Oconee Connector at SR Loop 10 next door to what will be the Advanced Urology headquarters. The plans approved in February called for a 21,020 square-foot-building to house University Surgical Vascular and a 9,972 square-foot-building for an office of The Commercial Bank. The two buildings join a third, previously approved building with 11, 500 square feet of space on the 5.2 acre site. Construction of the University Surgical Vascular building and of the 1,500 square-foot-building is well underway. The Advanced Urology building will be 15,000 square feet in size with primary frontage on Virgil Langford Road, next to the existing Bank OZK, formerly Bank of the Ozarks. Access to the Advanced Urology building will be via a roadway between the Bank OZK and Urology building. Advanced Urology has locations throughout the Atlanta area. The Development Review Committee, made up of representatives of the county’s departments impacted by development projects, approved all of the preliminary site plans at its July 20 meeting pending developer responses to comments from department representatives. In the case of the retail development in front of Carolina’s Place, for example, Cacey Marbutt from Georgia Civil Inc. in Madison, representing property owner J&J Hog Mountain LLC of Madison, was asked to provide details about signage and a required six-foot privacy fence before final approval. The project consists of two buildings of 9,051 square feet in size and two buildings of 2,000 square feet. The preliminary site plan for the Butler’s Crossing Professional Park shows 12 buildings, ranging in size from 5,000 square feet in size to 6,700 square feet. All of the buildings will be one-story, with total square footage of 63,700 across all 12 buildings. According to the site plans, the project will be completed in a single stage. Access will be via an existing roadway from the Publix parking lot and the existing drive off Experiment Station Road. Infrastructure for the park was been in place since 2005, but the project has been dormant since that time. The Board of Commissioners made modifications to the original rezone for the project late last year. The Development Review Committee approved the plans of Rhett Hall for the 3,100 square-foot-building at 1741 Hog Mountain Road. Hall also owns Oconee Rental Inc. at 1721 Hog Mountain Road and is operating his Oconee Events out of that site. Oconee Events provides tents, seats and tables for weddings and other special events. Plans show a large gravel storage area behind the building. Bob Smith of Smith Planning Group, 1022 Twelve Oaks Place, off Hog Mountain Road, represented Hall at the Review Committee meeting. The staff review indicates that demolition permits will be required for the existing buildings on the site. The video below is of the July 20 meeting of the Development Review Committee. Mackenzie Battista, planner in the Planning and Code Enforcement department, presided. OCO: DRC 7 20 18 from Lee Becker on Vimeo.